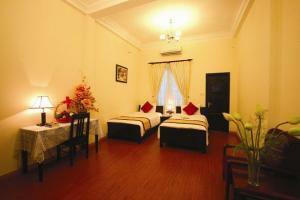 Welcome to Hanoi Queen 2 Hotel located in Hanoi, Hanoi region of Vietnam. 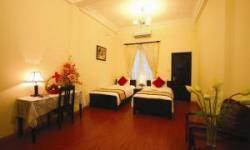 The Hotel is just 2 minute walk to the Hoan Kiem Lake and Water Puppet Shows, in the front of many Vietnamese and Western Restaurants, beside the ANZ Bank and shopping streets in Hanoi. 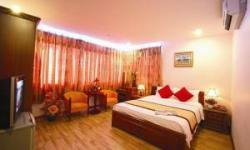 The 35 Deluxe rooms are avaible with 24hrs hot water, private bathroom with morden bath tub ) and come with fan and aircon, fridge, satellite TV,safety box, telephone access, Wi fi internet access in room and lobby. - From your room, you can see sun rise over the Hoan Kiem Lake every morning and beautiful city views from the balcony of the evening. 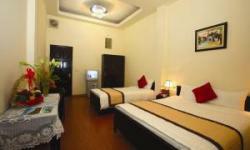 - Wifi internet access in room. - Enjoy your lovely moments in our delightful dining/bar room- Every morning you can enjoy our Vietnamise and continental breakfast from the dining room. 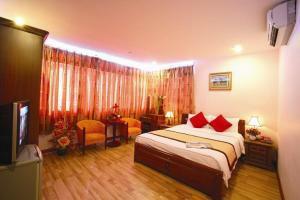 - Buses to Laos and Sai Gon. - Russian Jeep, motor bike , bicycle rental.